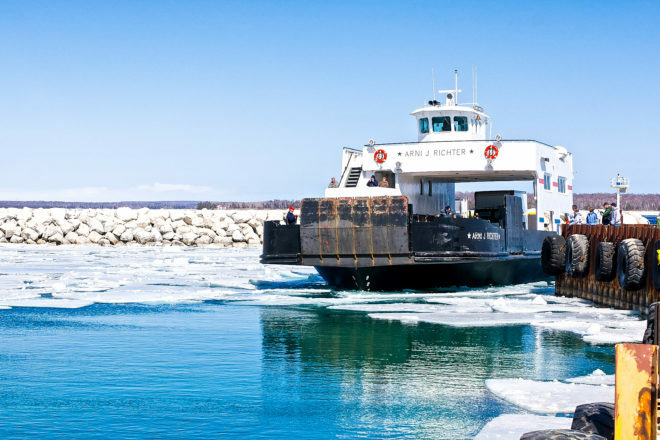 Catch the Washington Island ferry to participate in the island’s weeklong celebration of ice and snow. Photo by Len Villano. Celebrating Winter and Fish Derby, held Feb. 9-17, is a weeklong celebration of ice and snow with food, fun, adventure and entertainment on Washington Island. Sponsored by the Washington Island Chamber of Commerce, the event calendar is anchored in several main events. Anglers who dare to venture onto the ice to get “the big one” can take part in the Washington Island Lions Club Fish Derby. Cash prizes will be awarded to the top category winners. Register for the derby with the Lions Club. Call the Washington Island Chamber at 920.847.2179 to get contact information. There will also be a community bingo party with more prizes at Nelsen’s Hall. 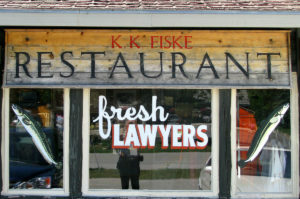 The annual chili cook-off will be held at KK Fiske on Main Road. Register at Nelsen’s on the day of the event. The cost is $5 for sampling all the entries. The chili cook-off is a judged event, with cash awards for the top three entries. The photo contest is the other judged contest of Celebrating Winter week. People are invited to submit photo stories of people, places and wildlife on Washington Island. Cash prizes will be awarded for each category. 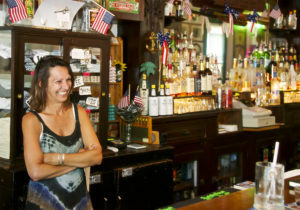 In addition to these main events, there will also be a surprise event, food specials at family-owned restaurants, bake sales, musical entertainment and two performances of On Golden Pond by the Island Players at Trueblood Performing Arts Center. For more information, call 920.847.2179 or visit washingtonisland.com. During the winter, the Washington Island Ferry Line runs to the island at 9:30 am and 2:30 pm, and it runs to the mainland at 8 am and 1 pm. These times are current through March 21. Check wisferry.com for rates.